The theme of this year’s IRTA Convention, to be held September 22-25 in Orlando, is “Uniting People & Standards In A Cashless Trading World.” The Friday morning kick-off will open with international financial expert and currency authority, Bernard Lietaer. Lietaer has a distinguished and varied background: He’s the author of The Futureof Money: Creating New Wealth, Work and A Wiser World. While at the Central Bank in Belgium he co-designed and implemented the convergence mechanism (ECU) to today’s successful euro currency system. During that period he also served as President of Belgium’s Electronic Payment System. He co-founded one of the largest and most successful currency funds in Belgium, where he actively traded currencies worldwide, as well as wearing the hat of General Manager. Additionally, Lietaer was a professor of International Finance at the University of Louvain in Belgium and is currently a visiting professor at Naropa University in Boulder, Colorado. A natural and obvious progression has taken place with IMS’ Continental Trade Exchange, now one of the largest barter company’s in the world. They’re moving forward by officially creating a corporate barter division. Unlike their retail barter network, which works with smaller businesses and professionals, corporate barter involves manufacturers, distributors, hotel chains and larger companies. 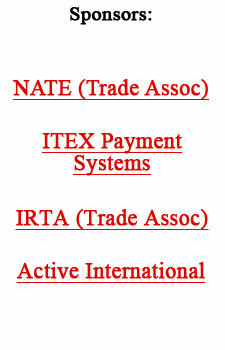 Recently IMS has processed two higher-valued transactions with major distributors totaling $700,000. For more information go to: www.internationalmonetary.com. Regarding our story last week titled “Digital Signs Make Billboards More Valuable,” Tuesday Report had several inquiries as to the cost. The state-of-the-art LED (light-emitting-diode) billboard displays cost approximately $400,000 each, and will dramatically change the outdoor-ad business as static messages can be changed every eight seconds. Clyde Prestowitz is the head of Washington’s Economic Strategy Institute, as well as a former international executive for U.S. multinationals and the former noted trade negotiator in the Reagan Administration. He’s also the author of a new book, Three Billion New Capitalists, The Great Shift of Wealth and Power to the East. The challenging of one of the most popular and soothing myths in Washington—that U.S. workers can compete with any in the world if given “a level playing field.” Prestowitz ways Western workers won’t be able to compete without accepting wage cuts, since in the area of labor costs China enjoys a “fifteen to thirty-fold advantage” over the developed world. India is rapidly moving up the value chain with its emphasis on software and computer services, along with the processing of tax returns, medical X-rays, and the like. Surprisingly, there are already more info-tech engineers in Bangalore (150,000) than in Silicon Valley (130,000). The value of “linkage” among technologies is another central theme. Japan, he points out, continues to understand the importance of the linkage concept while U.S. leaders seem not to. But Prestowitz says there is reason for hope despite the U.S. government shortsightedness, because America’s technology is often the best, as are its universities. Also the U.S. leads in biotech, and it retains a unique entrepreneurial culture. Mark Zilbert, a Miami real-estate broker, has created a site for people who want to “flip” or resell preconstruction condo contracts. Initially the site will focus on Miami, which is estimated to have over 60,000 condo units in various stages of construction. But Zilbert says he plans to expand into Los Angeles, Las Vegas, Dallas, and Chicago next year. Don Mardak, International Monetary Systems CEO, says the company is “very proud of our employees who have been recognized as barter-industry leaders.” According to Mardak, IMS now has three Master Trade Brokers and eighteen Certified Trade Brokers on staff. Recently, at the NATE Convention held at the Chateau Élan near Atlanta, Donna Burlingham received special recognition as Certified Broker Of The Year, Johnny Eagle was named NATE’s Most Valuable Member, and Lisa Boudreau achieved the prestigious designation of Master Trade Broker. James Nooyen and Matthew Nelson passed the written examination to qualify as Certified Trade Brokers, and several IMS employees—Barbara Martin, Kim Strabley and John Strabley—conducted convention seminars. Also associated with IMS is NATE current president Debbie Lombardi and the association’s secretary Dale Mardak. Can laissez-faire be a bipartisan affair? An “ardent Democrat” and economist who served in the Clinton administration from 1993 to 1997, thinks so. Paul A. London, the author of The Competition Solution, says it’s competition that rules the land. And this free-for-all is responsible, even more than sound money and lower tax rates, for the stunning recent outperformance of the U.S. relative to other developed economies, with their more-regulated and rigid business ways.